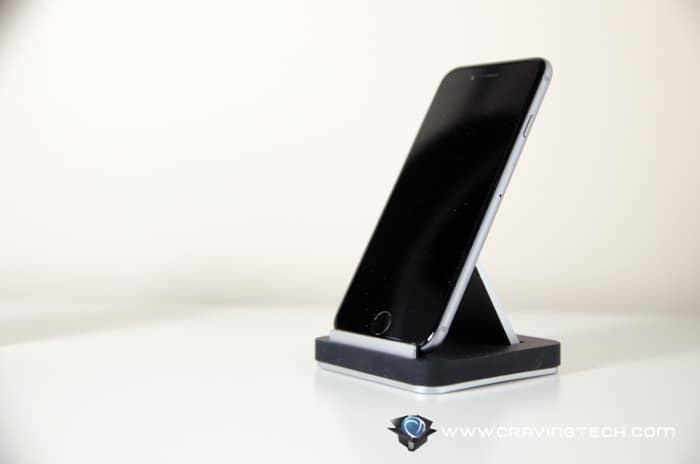 PADACS Desk Stand Review – This sleek and simple desk stand only costs you $12.95 but it looks and feels luxurious. There are times when you don’t feel like placing your expensive smartphone or tablet on the surface of your desk. And you shouldn’t. Dirt can get transferred to its surface or worse, scratches. 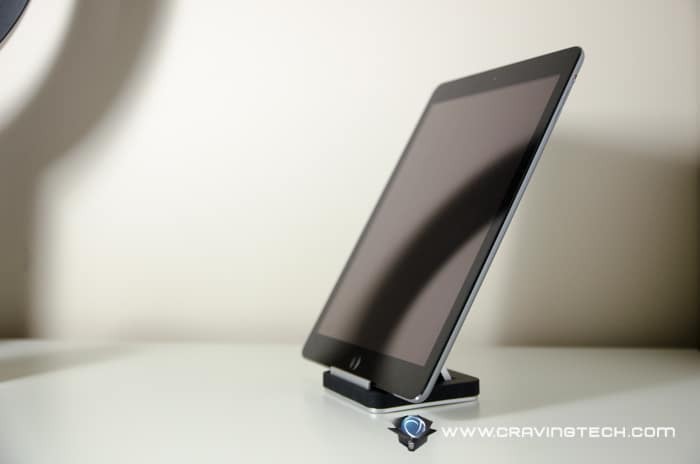 PADACS Desk Stand simple design lets you place your smartphone and even tablet on it so your device can stay safe from harm. 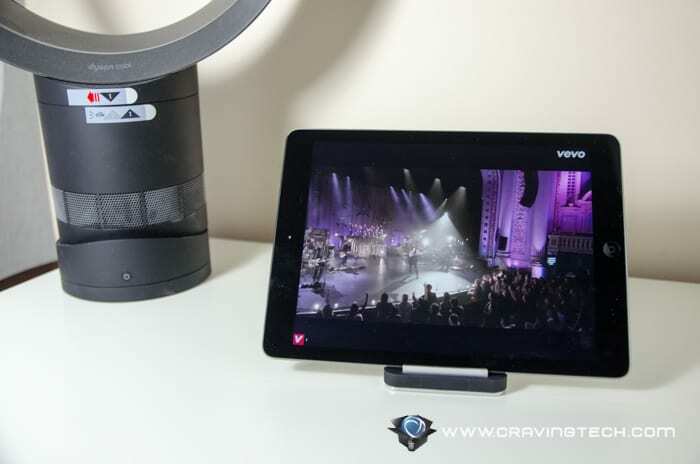 It also creates a nice viewing angle for reading and watching activities. There are no buttons, hinges, or mechanisms on this desk stand. Simply place your device on either portrait or landscape orientation. 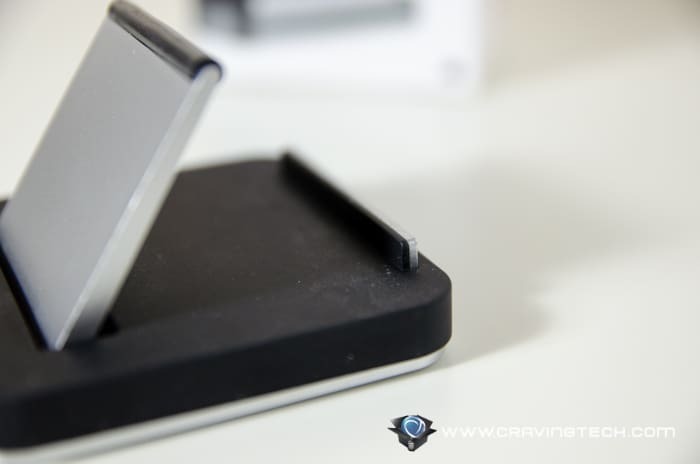 The areas where your device touches are covered with rubber to avoid scratching your expensive device, and also to keep it still. 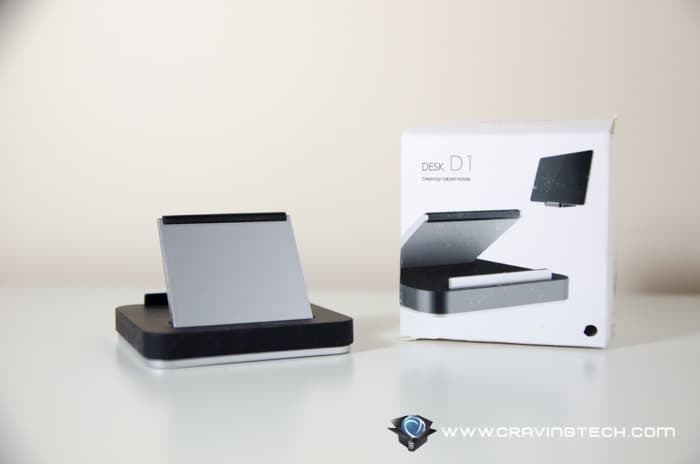 Yet, these black rubber materials are subtle and create a sleek combination of black and silver look. It feels as if this desk stand is made by Apple themselves, because it matches the look of iPhone 6 and iPad Air pretty well. 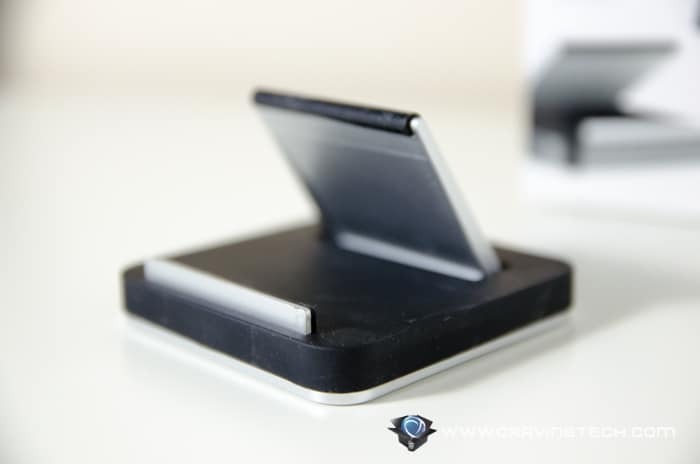 Devices sit sturdily on the PADACS Desk Stand and get a good support on the back, so they don’t wobble around, especially when you interact with your device on the stand. 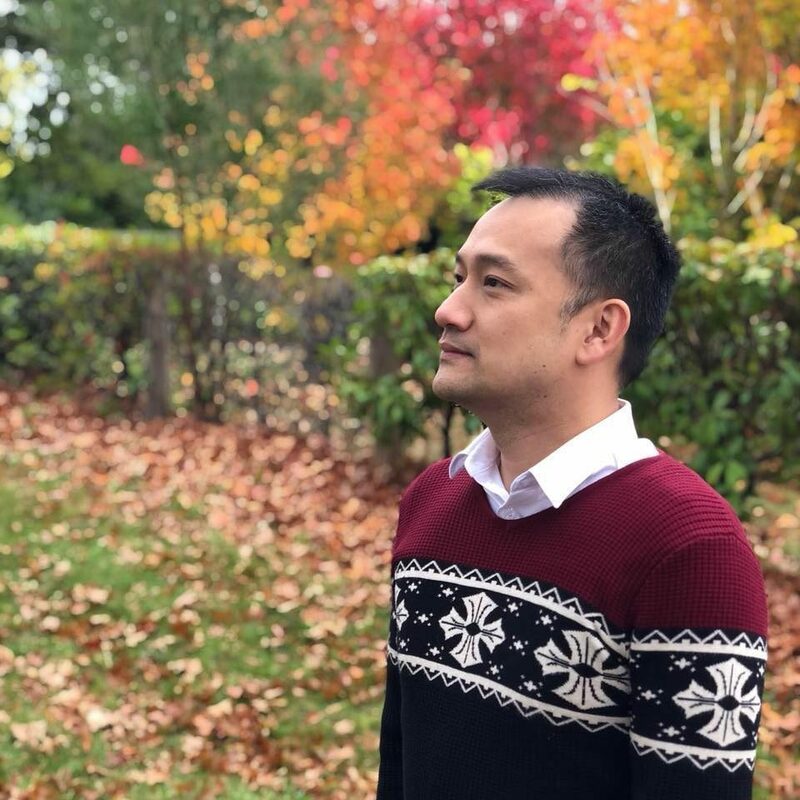 I love the fact that I can place my device on either portrait or landscape orientation – portrait for reading news while my hands hold a spoon and fork, or landscape for watching movies. 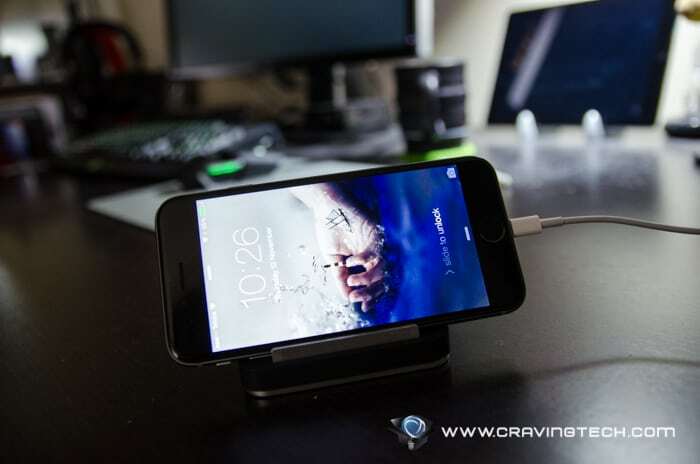 I also love how I can leave my phone on the desk stand overnight (in landscape orientation) to charge. 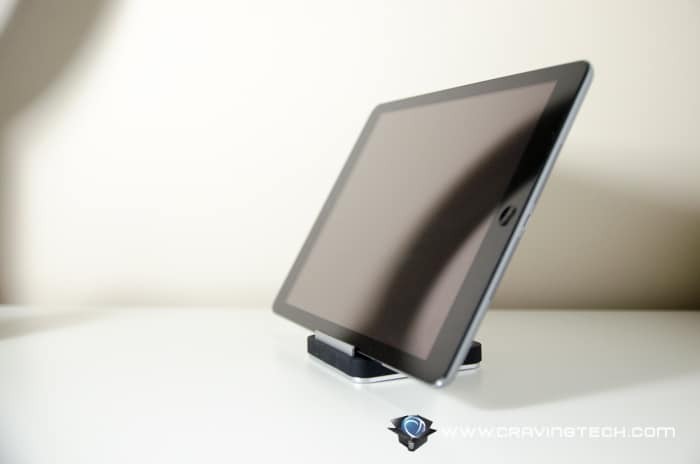 If you are looking for a simple, sturdy, and elegant desk stand solution to hold your phone or tablet, look no further than this PADACS Desk Stand. It also adds a good aesthetic value on your desk.